Saturday afternoon visit to Manchester with the wife over Easter. 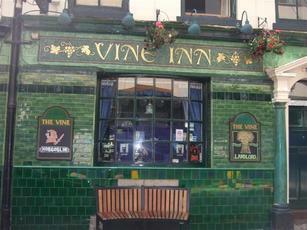 Several pubs I wanted to tick but with the rain lashing down we got to the Vine Inn and stayed there for a couple. 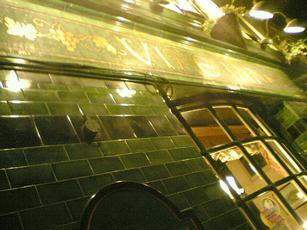 The pub dates from the mid 19th century and has a fairly tired 1980s style interior. 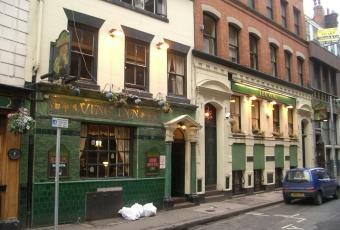 Apparently its on the site of Manchester's oldest brothel! 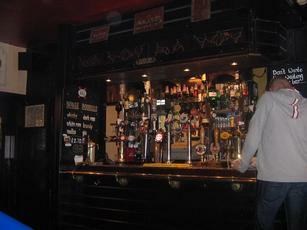 We stayed in the main bar area where there's 2 ales on draught and several European lagers. My pints of Cooper Dragon's Golden Pippen @ 3.9% were well kept and poured. In the Malt & Cask cellar bar there's a further 6 ales on and a couple of ciders. Half full with punters, music playing from the juke box, TVs on silent, clientele is mixed with a few small groups of lads and lasses and several couples. Decent enough city centre pub and a tick from the 2016 GBG. Ok but characterless pub. Dull choice of ales. It's clean and comfortable, but not really worth a vsit. My first visit to The Vine and I was very impressed. Very busy with people taking a break from Xmas shopping. Spread over 3 floors with 2 bars, there was a good choice of real ales and my Guinness was particularly good. 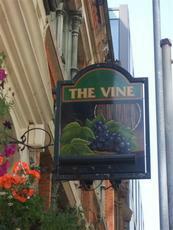 This weekend saw my first visit to The Vine Inn since the opening of its Malt & Cask Cellar Bar. This has made a real difference to the place and makes it well worth a visit. Previously the ale selection in the bar has been a bit limited with just a couple of "safe" real ales available. Now downstairs in the converted cellar there are 8 hand pumps, all of which were available, and apart from Black Sheep and Greene King IPA, the remainder were all something a bit different. As the name suggests it is also geared up for whiskey drinkers, with a vast range of malts and blends available, complete with little menu cards on the tables. I didn't venture into the main bar on this trip, so can't comment on what is available up there these days, but I'd definitely recommend a visit to the cellar bar. Disappointing. Outstanding looking exterior. Inside just a normal, dull pub. Limited range of beers. Might be better early evening when the downstairs is opened up.